Mix tahini, honey (or brown-rice syrup), cayenne, olive oil, cumin, cinnamon, salt and pepper in a bowl and spread all over the barramundi pieces. Leave to marinate in the refrigerator for one hour or overnight.. 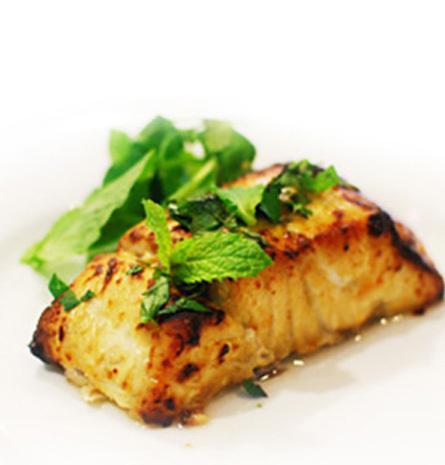 Grill barramundi in oven for 7-8 minutes or until golden brown. 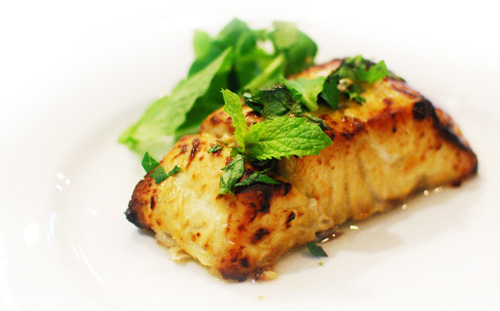 Remove from oven, gently toss with mint and parsley. Serve with toasted bread and rocket leaves.